Episode 109: Top Cow Geekery with Matt Hawkins! Matt Hawkins is a veteran of the initial Image Comics launch, and has worked in the comic book publishing industry since 1993. Since that time, he's had many roles including creator, writer and executive, and currently serves as the president and COO of Top Cow productions. 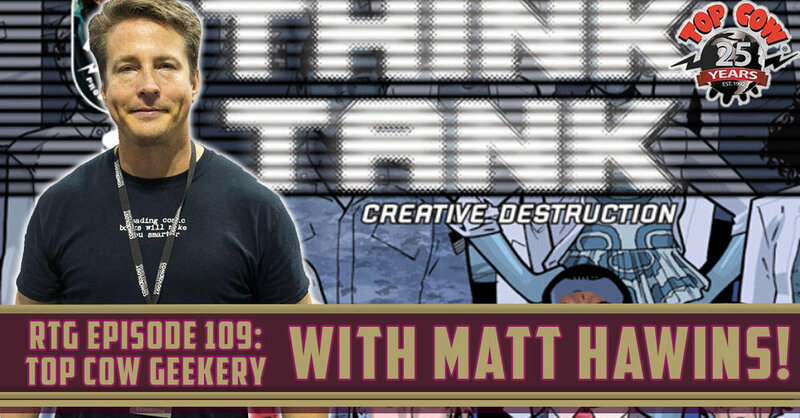 Matt was gracious enough to share with us his path to geekdom, how he got into the comics industry while never having read a single comic, and describes his first torturous job interview with Rob Liefeld and the team. You can follow Matt on Twitter, and you should also check out Top Cow's website, then follow them on Facebook!